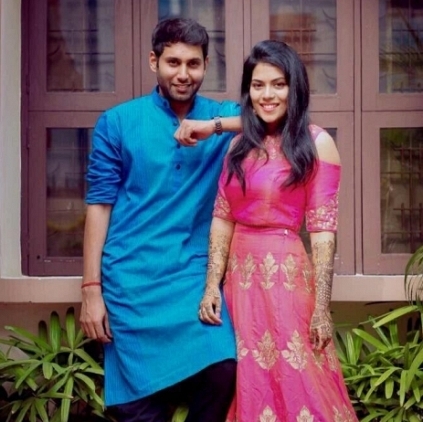 Aadhav Kannadasan, grandson of legendary lyricist Kannadasan got engaged this evening in a grand ceremony. He got engaged to Vinodhnie Suresh this evening (1st July) at Chennai. The event was attended by celebrity stars and close friends of the couple. On this happy occasion, we at Behindwoods also wish the best for Aadhav and Vinodhnie. People looking for online information on Aadhav Kannadasan will find this news story useful.